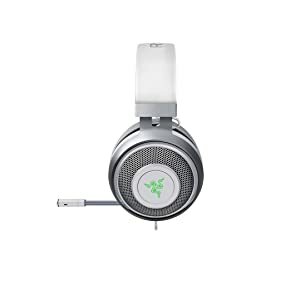 Get total gaming audio immersion with the Razer Kraken 7.1 V2 headset. 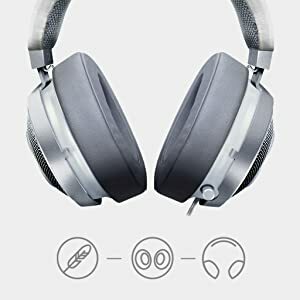 It features an advanced 7.1 virtual surround sound engine for pinpoint positional audio that is totally customizable to your own preferences. 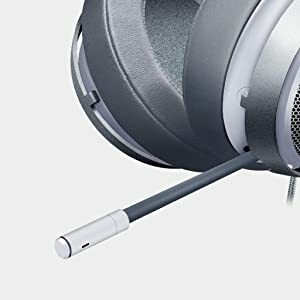 An active-noise cancelling microphone delivers crystal clear communication, and an all-new unibody aluminum frame ensures the headset withstands the rigors of all your gaming adventures. The Razer Kraken 7.1 V2 delivers an immersive surround sound gaming experience to enhance your aural situational awareness. You'll always hear where the enemy is coming from, and where your team is located, to strike with precision. 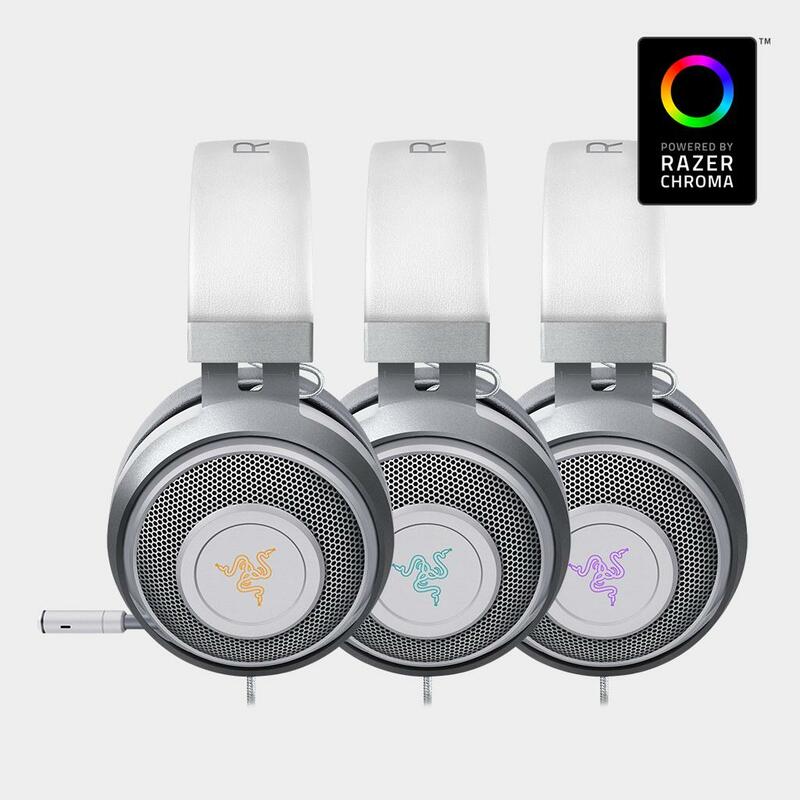 What's more, the engine is entirely customizable via Razer Synapse, so you can determine the best placement for the audio channels to best fit your own listening preferences. The Razer Kraken 7.1 V2 is outfitted with larger drivers than its predecessor to offer a louder and richer soundstage than ever before. You'll feel like you're right at the center of all the gaming action, while ensuring your team's shotcalls are heard with absolute clarity. A fully retractable microphone with active noise-cancellation ensures crystal-clear communication. 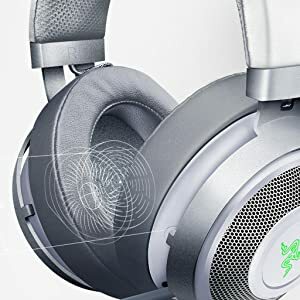 Cut through the noise at the loudest LAN parties and eSports tournaments to ensure your team is always hearing your coordinations loud and clear. 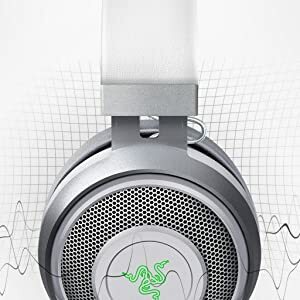 Made of Bauxite aluminum, the new and improved headband of the Razer Kraken 7.1 V2 is lightweight, flexible, and extremely durable, allowing it to withstand the intense rigors of pro-gaming. 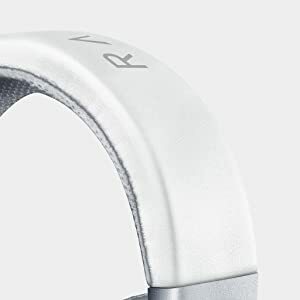 The headband was designed for balanced weight distribution and reduced clamping force to maximize comfort during lengthy gaming sessions. The ear cushions are larger, softer, and better sound-isolating than ever before. They are easily interchangeable with a choice between circular or oval-shaped designs allowing for a personalized fit. Special inmold channels have been designed into the ear cushions enabling specs-wearing gamers to wear the headset free of strain. Access a world of extreme personalization possibilities and express your style with stunning visual effects. Customize your own color palette and sync up your other Razer Chroma enabled peripherals to watch your entire setup come to life as one.